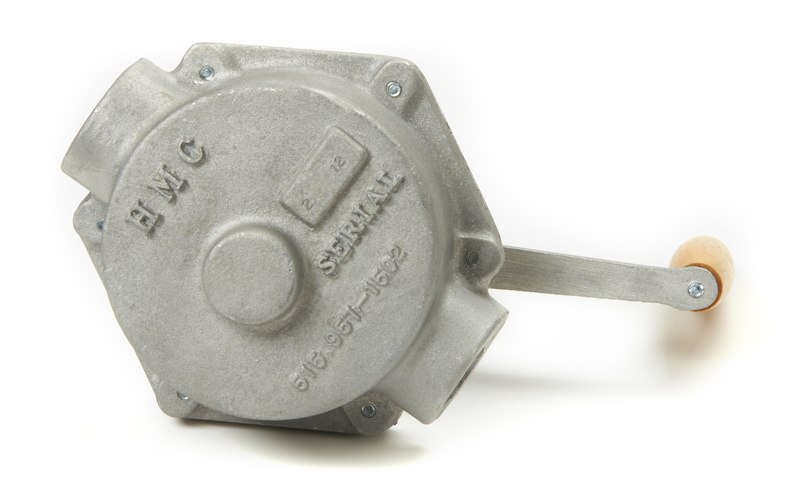 HMC origins come from the product line of Hollingsworth Mfg. Co. Hollingsworth, a company established around 1920 and one of Marshalltown's most established manufacturing companies, is a key supplier to many industries both locally and nationally. As the go to machining supplier for pump castings, shafts, tooling, and turned parts, Hollingsworth was deeply saddened when a long time customer was forced to close their doors in July of 2010. (See reference 1) With such a close relationship, Hollingsworth developed an intimate understanding of critical components and the assemblies they supported; it was a logical step for Hollingsworth ownership to begin a new company of O.E.M. manufactured products....and why not name that new company from 90 years of Hollingsworth's brand of parts....HMC (Hollingsworth Manufacturing Company). 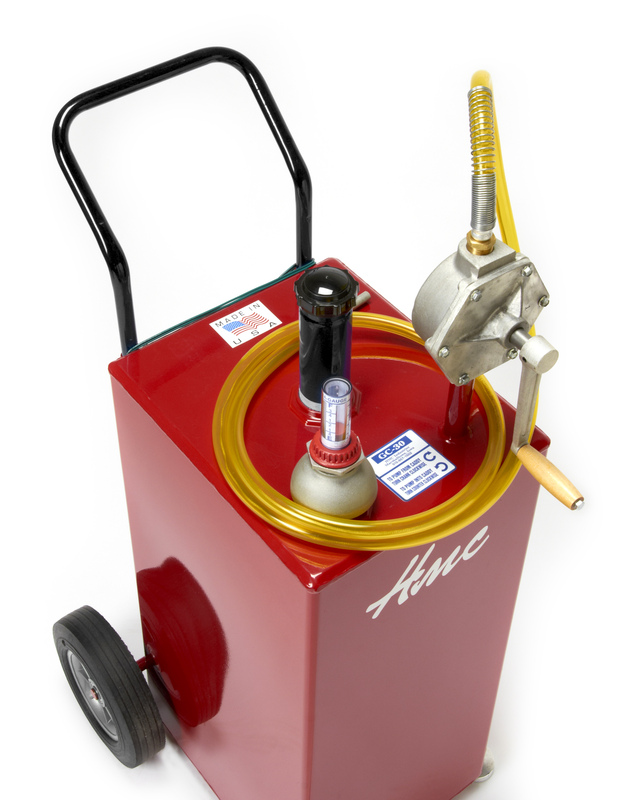 To get things rolling HMC began manufacturing with the product they knew the market needed; the GC-30 Gas Caddy. With equipment purchased at auction from Handy Industries in Sept. of 2010; HMC began building their aluminum cast dependable bi-directional pump and 30 gallon gas caddy. HMC worked out a lease from the property owner at 702 S. 3rd Ave. allowing them to keep most of the manufacturing equipment in place....making the process of new product development easier. Some equipment purchased included a CNC Punch Press, a 5' shear, a 10' press brake, and an 80 Ton Punch Press. These machines have been instrumental for HMC to build the quality products so many customers are discovering every day. 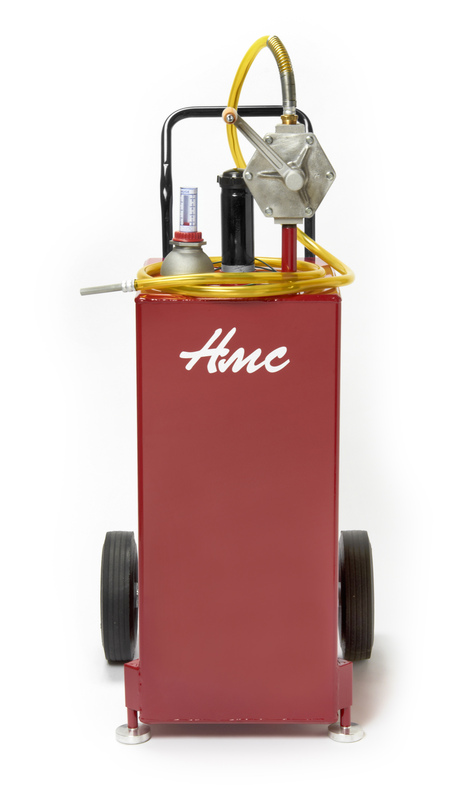 Today's product line from HMC Industries has expanded greatly since 2010. Our American Made motorcycle lifts are above and beyond the best product available and offer the dependability of in house manufactured cylinders compared to a cost savings air bag. HMC's Hy-Pro brand offers products that combine American Engineering with World Sourced supply, and Hollingsworth Mfg is still producing exceptional hand tools while offering CNC machining services to a large variety of industry around the world. 1:In July of 2010, Handy Industries shut down operations while an acquisition specialist firm, Hammernik LLC, took over administrative responsibilities and searched for potential buyers. According to a news article in the Marshalltown Times Republican, Hammernik LLC completed Handy's liquidation with the sale of Handy's assets.